• Powerful 1/2 hp motor designed for quiet, efficient operation. • Stainless steel pump housing and connections for corrosion resistance and extra long life. • Specially trimmed impeller to maximize performance. 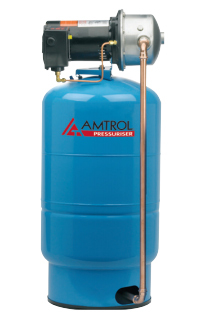 • Allows accurate pressure settings up to 80 psi. • Maintains 10 psi differential for steady, consistent pressure. • Protects the pump with built-in diagnostics. • Heavy-duty diaphragm style storage tank. 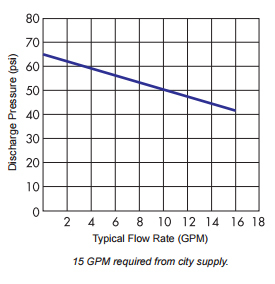 • Specifically designed for city water boosting applications. • Polypropylene liner provides 100% corrosion resistant, non-metallic water reservoir. • Tank is NSF® International Standard 61 listed.